One of the most important things when it comes down to wedding table centerpieces is the table number. It has to be good enough that the guests will have no problem seeing it and finding their place, yet it needs to be something creative, beautiful and for many, budget-friendly. 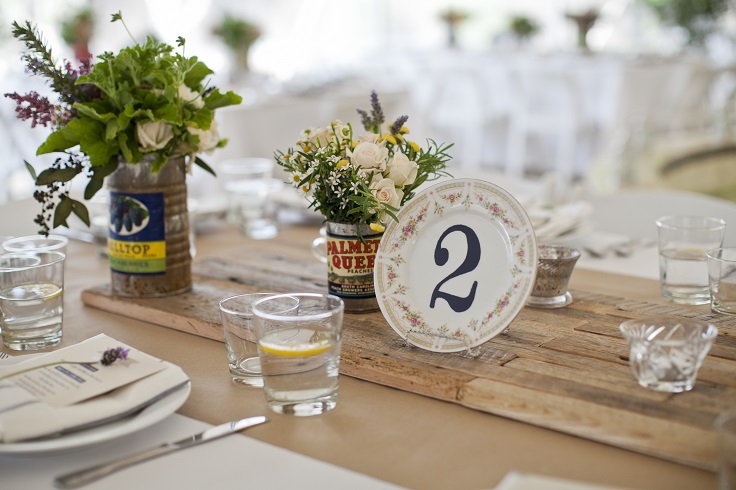 In this article you can find ten ideas on table numbers and most of them you can easily make yourself. From stencils to rustic hearts, check down below what we have picked for you and let us know which is your favorite! 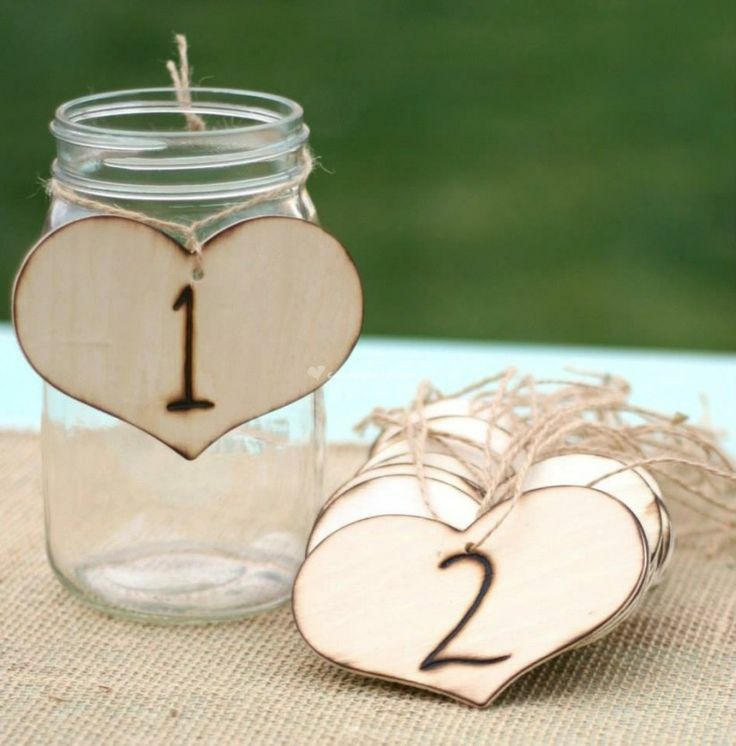 These stenciled wedding numbers are so easy to make, that you can even make them yourself! All you need to have is porcelain as a base, stencil numbers, acrylic craft paint and brush for painting the numbers and tape to keep the stencils in place while painting. It isn’t too expensive, yet it looks so romantic! 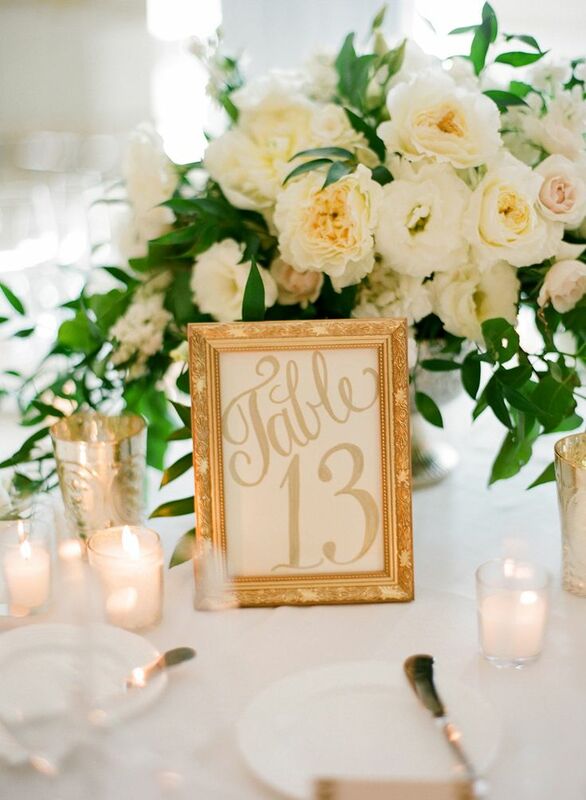 So chic, these table numbers will surely catch the attention of the guests thanks to the glitter. You can even make them yourself – just choose a glitter paper, wood skewers, glue and scissors. Start out by writing the table runners in the best handwriting you can – the more calligraphic, the better it will look. Cut it out, glue it on the skewers and place them wherever you want them on the table. It can’t get any simpler than this – buy picture frames and place inside printed table runners or write it down. This is a budget-friendly project that you can easily make it yourself and it won’t even take you long until you have everything done. 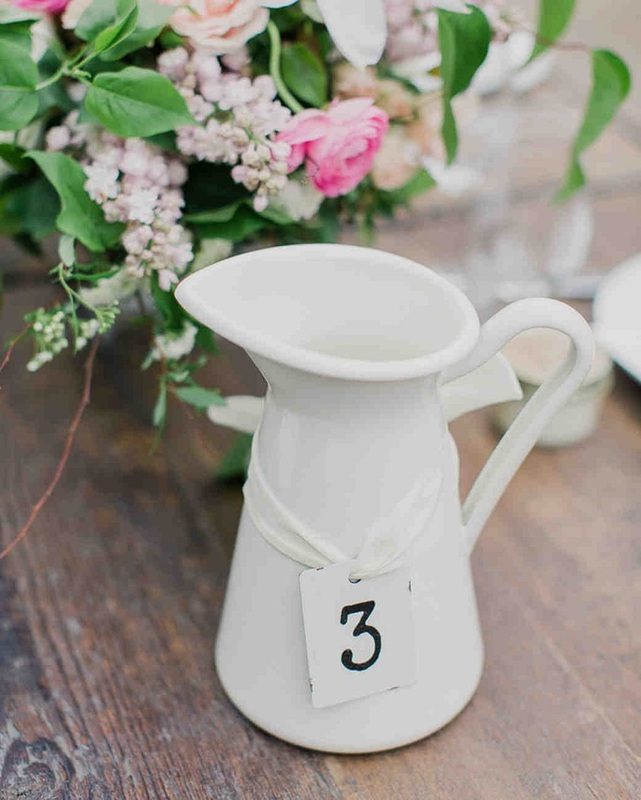 Romantic and vintage at the same time, it’s amazing how an ordinary pitcher can turn out to be an amazing holder for table numbers. Get pitchers that you like and tie the number around them with a fabric – pick some gentle, silky fabric that will match the whole atmosphere. What’s a better way to spread the message than this simple knot? It says everything! 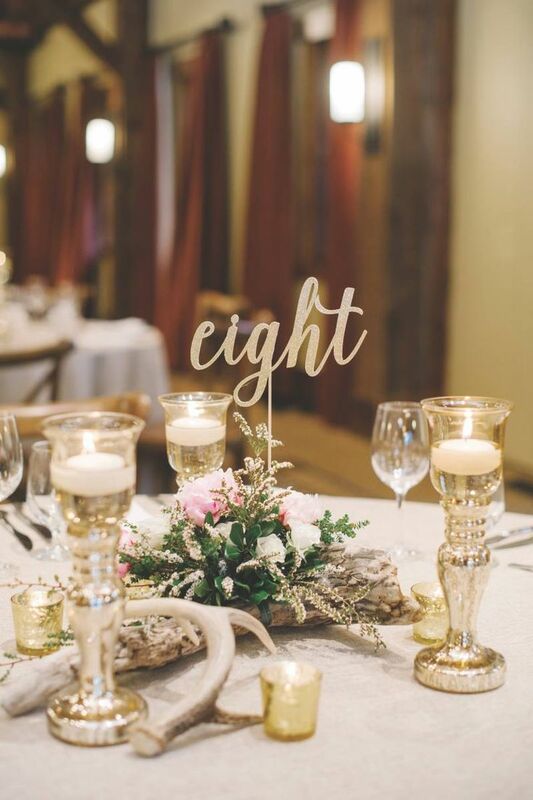 It’s very simple, budget-friendly way to add table numbers. 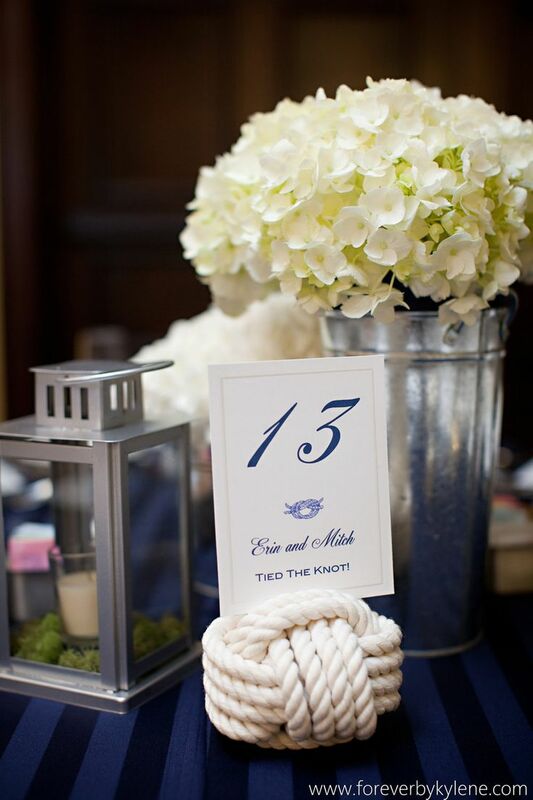 The knot also perfectly fits nautical theme, so if that’s something you would like for your wedding, this idea will be really helpful. When it comes to reusing old bottles, there are hundreds of ideas on what you can do to use them in the most creative way possible. This also includes using them for your table runners. 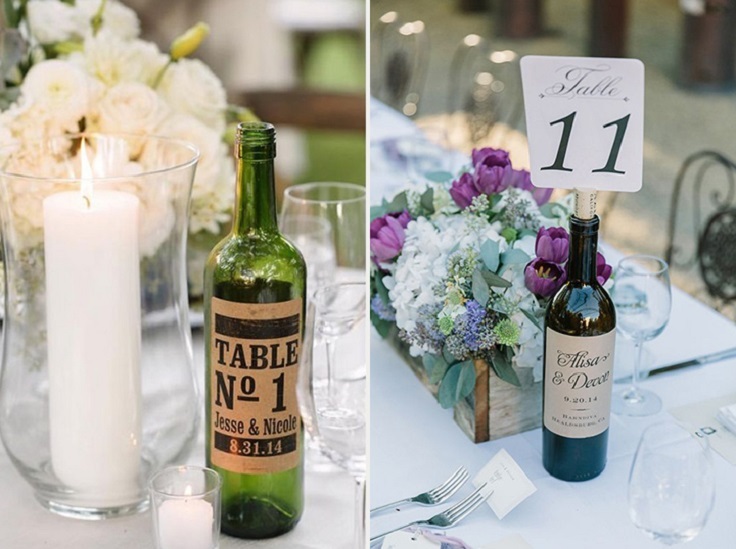 You can find so many ideas about this as well, and here are just two – you can add the table number as a bottle etiquette or you can attach them to the cork. 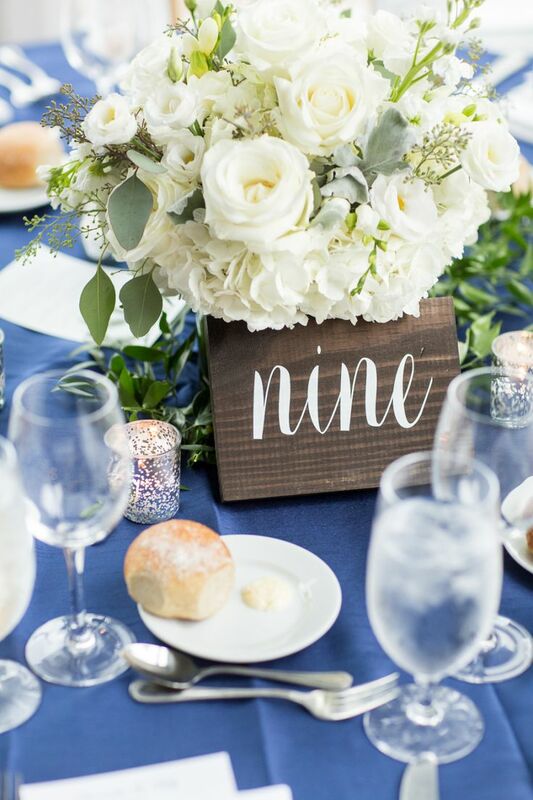 As simple as it can be – for these table numbers you just some wood cut into squares and write the numbers on each piece. You can experiment with fonts and go for the romantic calligraphy, or you can choose something else that you like. This idea is ideal if you’re planning to have a rustic wedding. Using mason jars and burlap is a great combination and there are plenty of ways you can arrange these two together. 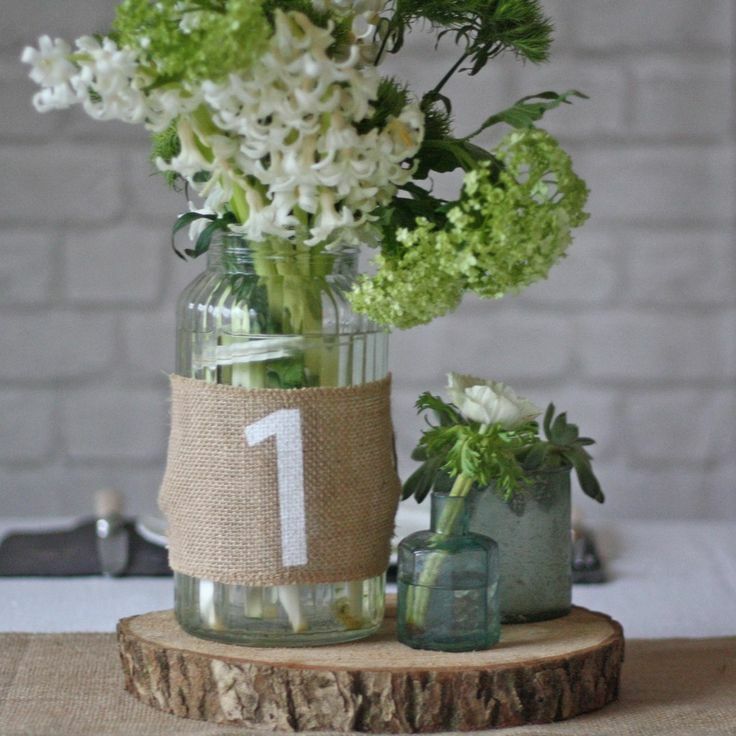 One of the ways is to paint the table numbers on the burlap and then wrap it around the mason jars. Placing flowers inside the jars will make it just so romantic! Succulents are one the most popular plants right now and there’s a reason for that – they might look very simple, but it’s exactly the simplicity that why they are considered to be so beautiful. You can use them as your table number card’s holder. 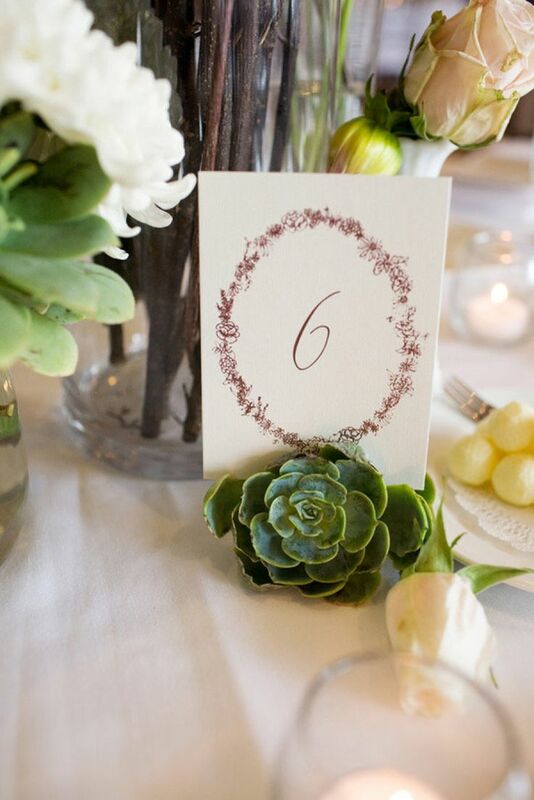 Just print out the table number cards and place them between the flower. One of the best ways to achieve a romantic atmosphere is by adding hearts. Hopelessly romantic, they are going to be such an amazing details. You can tie them around a mason jar and feel it with flowers. It’s simple, budget-friendly and very lovely!